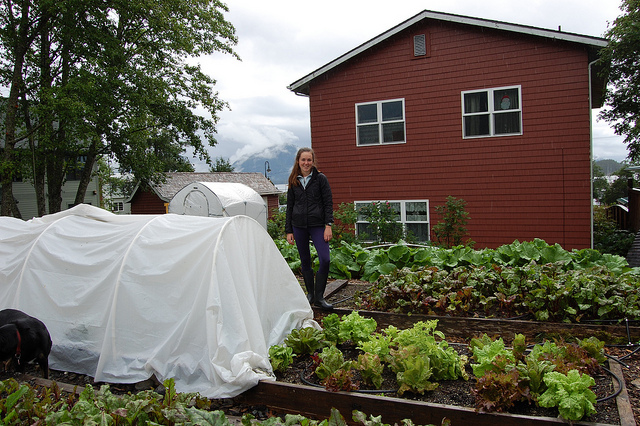 Greetings from Alaska: How does your garden grow? I mentioned previously that Sitka has a farmers market, but it&apos;s actually more of a gardeners market. 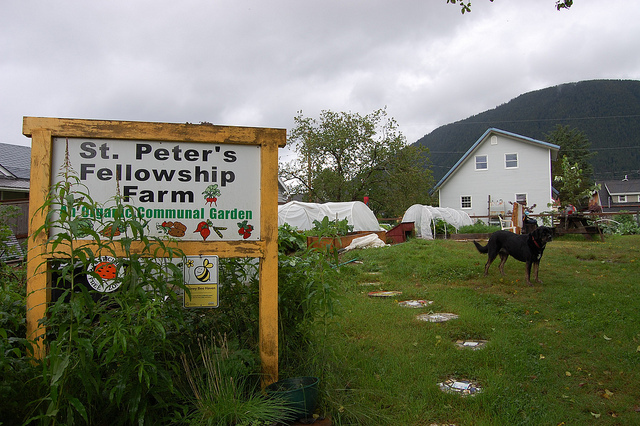 Sitka has no farms, but they do have St. Peter&apos;s Fellowship Farm, an organic communal garden, as well as a network of gardens in town. What seems incomprehensible to us in the Greater Midwest, is that in Sitka, they don&apos;t have dirt. 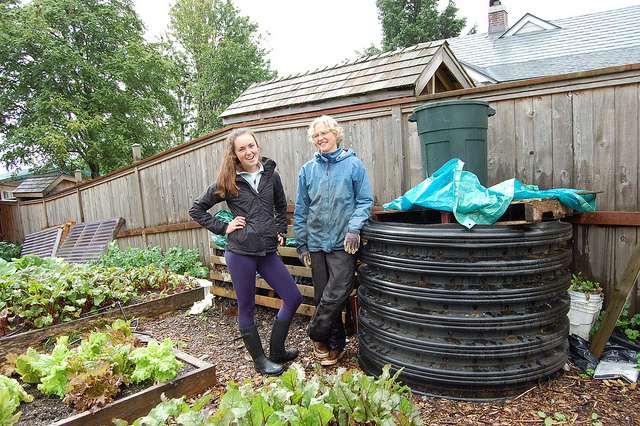 Down at the farm, they grow in raised beds, filled with a base of fish carcasses, covered with sifted earth, and topped with seaweed. The earth they get from construction excavation. So compost becomes more important than ever, not only in a "green" way, but simply to make more growable earth. 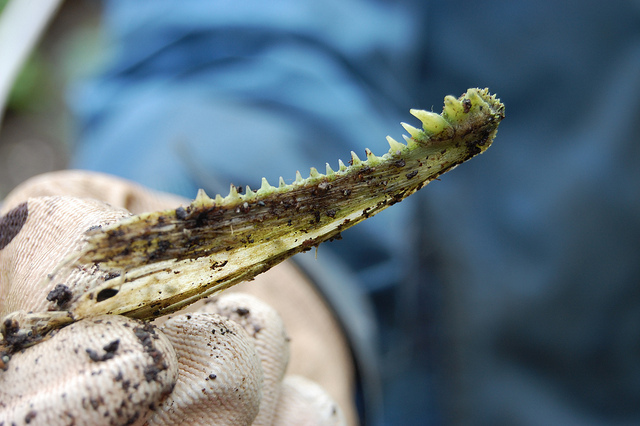 As lead gardener Laura Schmidt of the Sitka Local Foods Network showed me around, gathering for the Sitka Seafood Festival dinner, she found toothy salmon jawbone. Intern Christine Devlin, a Yale sophomore from Massachusetts, will meet me at 8 a.m. this morning to pick our final garnishes for the dinner. 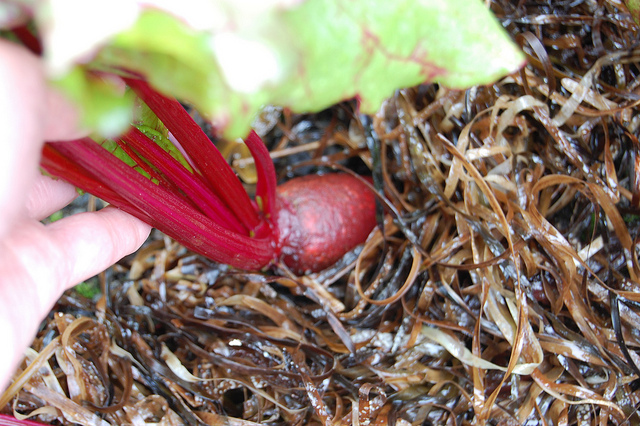 From boat and garden to table, everything of the sea.